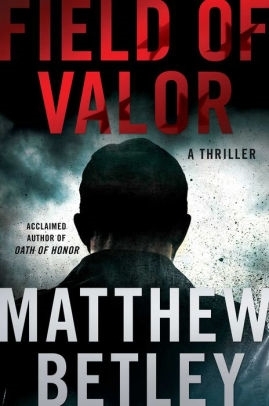 VJ Books Presents Author Matthew Betley! 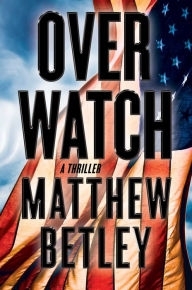 Matthew Betley was born in New Jersey but grew up in Cincinnati, Ohio. He graduated with a B.A. in psychology and minors in political science and sociology from Miami University in Oxford, Ohio. He also spent the first semester of senior year investigating felony murder cases as an intern investigator in Washington, D.C., for the Public Defender's Office, a formative experience that provided countless stories that could fill the pages of a non-fiction novel. After graduation, he worked in corporate America for five years in Cincinnati before joining the Marine Corps in 1999. 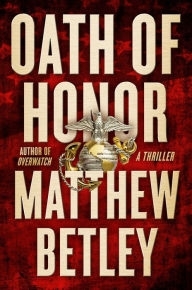 Betly spent ten years as a Marine officer and was trained as a scout sniper platoon commander, an infantry officer, and a ground intelligence officer. His experiences include deployments to Djibouti after 9/11, and Fallujah, Iraq, prior to the surge, both in staff officer support billets. Finally, and most importantly, Betly is a recovering alcoholic. He credits the Marine Corps with providing a foundation in discipline and personal accountability for his desire to initially seek help. Matt is open and direct about it and has spoken in front of large groups of people with one clear message, if he can get sober, so can anyone. He credits his recovery with providing the authenticity for Logan West's struggle with his inner demons. Author Signed Hardcover Book. May 2018 NY: Atria First edition, first printing, mint, new/unread in a flawless dust jacket, signed by the author. Each dust jacket is protected in an acid-free archival quality acetate cover. Author Signed Hardcover Book. March 2017 NY: Atria First edition, first printing, mint, new/unread in a flawless dust jacket, signed by the author. Each dust jacket is protected in an acid-free archival quality acetate cover. Author Signed Hardcover Book. March 2017 NY: Atria First edition, first printing, fine in a fine dust jacket, signed by the author, remainder marked. Each dust jacket is protected in an acid-free archival quality acetate cover. Author Signed Advance Reading Copy. 2016 NY: Atria Books Advance reading copy, near-fine (some creases to front) in near-fine pictorial wrappers, signed by the author. Author Signed Hardcover Book March 2016 NY: Atria First edition, first printing, mint, new/unread in a flawless dust jacket, signed by the author. Each dust jacket is protected in an acid-free archival quality acetate cover. Author Signed Hardcover Book March 2016 NY: Atria First edition, first printing, fine in a fine dust jacket, signed by the author, remainder marked. Each dust jacket is protected in an acid-free archival quality acetate cover. Author Signed Hardcover Book. July 2019 NY: Atria/Emily Bestler First edition, first printing, mint, new/unread in a flawless dust jacket, signed by the author. Each dust jacket is protected in an acid-free archival quality acetate cover.